Since graduating from Harvard Law School in 1996, Brooke has practiced in multiple areas of the law. 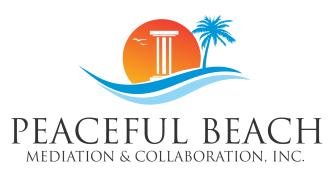 She created Peaceful Beach in 2008 to guide couples and families through the divorce process in a more dignified manner; create more opportunities for individuals and families to resolve conflict without litigation; and help people in general move forward in positive, productive, and healthy ways. Brooke is a Florida Supreme Court Certified Family & Certified Circuit Civil Mediator; Qualified Arbitrator & Parenting Coordinator; Elder Care Mediator, Divorce Facilitator; Child Advocate; and Community Leader. She is also an experienced educator, having taught for several semesters serving as adjunct faculty and prelaw mentor in the Florida Tech School of Arts & Communication where she serves on the Prelaw and Continuing Education Advisory Boards. Brooke serves on the boards of Brevard Bar Foundation, Brevard Family Partnership, Henegar Center for the Arts, the Boys & Girls Clubs of Brevard, and the Women's Center South Brevard Guild. She is a member of many support groups that promote strong, healthy, and safe families and communities and volunteers for the Brevard County Guardian Ad Litem Program, Justice Teaching Program, and as a mediator and fee arbitrator for the Florida Bar Grievance Committee. Brooke began her legal career in Miami, Florida in 1996 as an associate at the international law firm of Greenberg Traurig. In 1998, she moved to Washington, DC, where she continued to develop her deal negotiation and drafting skills as a corporate associate at the law firm of Swidler Berlin (now known as Bingham). Just prior to returning to Florida’s Space Coast in 2004, Brooke served two years as a legal recruiter at Mestel & Company, where she facilitated the matching of experienced lawyers with law firms and legal departments in the Washington, DC area. 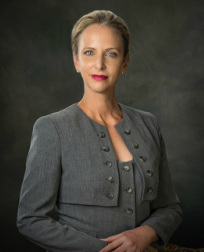 Once back in Brevard from 2004-2008, Brooke represented clients in over 700 cases in courtrooms throughout Florida in criminal, civil, real estate, family, dependency and juvenile matters. In early 2008 she started focussing her efforts on creating peace in her community with the Peaceful Beach concept. Brooke facilitates communication and understanding between married and non-married parents, adult siblings and other caretakers of the elderly; employers and employees, landlords and tenants, buyers and sellers, neighbors and neighborhoods and other community interests. She empowers divorcing couples to do so with dignity and privacy as they focus on the positive and on the future, limit psychological and financial damage, heal from the grief of divorce, protect their family and get on with life. Her goal is for all parties to be heard, feel respected, and resolve their differences outside of costly and dehumanizing litigation. She wishes to empower all people to exercise self-determination and be more successful in their personal and professional lives. © 2018 Peaceful Beach Mediation & Collaboration, Inc.